I was encouraged to hear now-Energy Secretary Rick Perry, in his recent Senate confirmation hearing, suggest that the Department of Energy will help foster carbon capture technologies, advanced nuclear reactors and innovation through our best-in-the-world national labs. I hope that will result in demonstrable action by the Trump administration. I was even more excited to hear a range of Republicans on the Senate energy panel – from Chairwoman Lisa Murkowski of Alaska and North Dakota’s John Hoeven to Arizona’s Jeff Flake and Louisiana’s Bill Cassidy – offer their strong support to the same cornerstones of the conservative clean energy agenda we at ClearPath have been aggressively pursuing. It shows that unified Republican leadership in the Trump administration and on Capitol Hill could make all the difference in modernizing our energy capabilities. 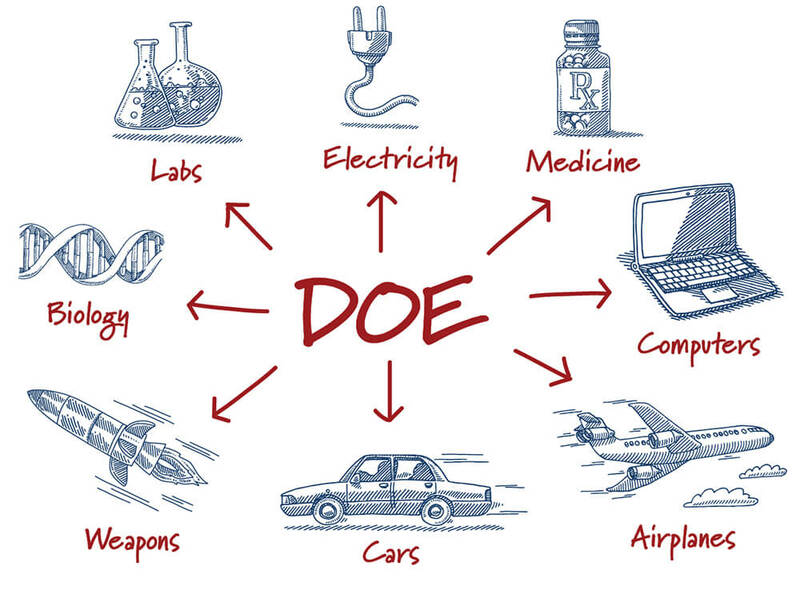 But I’m still concerned that DOE doesn’t get the credit it deserves for its cutting-edge research that’s often too early in its infancy or too expensive for the private sector. As Secretary Perry acknowledged at the hearing, commercial use of hydraulic fracturing that sparked our shale gas revolution would never have been possible without the early research and development funded and overseen by DOE’s national labs. Similarly, our nation’s clean and reliable nuclear power wouldn’t have happened without the department’s actions – from the discovery of fission to the first reactor in just four years and commercial deployment in another 14. To ensure that DOE not only remains vital but strengthens its role in advancing public and private advancements in carbon capture, nuclear and other advanced energy and innovation, we have some early friendly advice for Secretary Perry and the department he will guide. 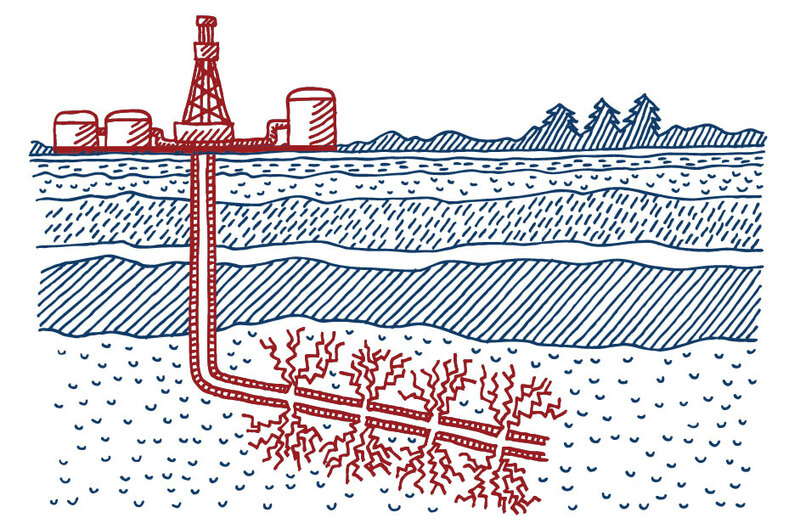 Fossil fuels are the bedrock (literally) of our energy system. Don’t shortchange the Office of Fossil Energy. This office since its inception in 1977 has facilitated numerous breakthroughs, including fracking and carbon capture technologies. The DOE has a carbon capture cost goal of $40/ton by 2020 to 2025. That goal should be expanded to apply to at least four demonstration projects over the next decade. Give the DOE funding and support to assist the private sector in demonstrating 4 PRIVATE advanced nuclear designs by 2026. We need to be able to balance large renewable energy penetrations on the electricity grid. Set a goal of supporting the private sector in developing 3 energy storage solutions able to cycle once per day, discharging for at least 5 hours, with a lifetime of 15 years at a price point of $100/kWh. Set a mandatory lab-directed research and development level at 5%, similar to the National Nuclear Security Administration labs. Go back to the spirit of government-owned, contractor-operated labs. Let them determine the best methodologies. DOE should set targets, but let independent operators determine the best way to hit those targets. Recently the labs have been under increased micromanagement from the DOE, who imposes more and more complicated rules on research. Let the labs streamline partnerships with the private sector wherever possible. Don’t allow delays in technology commercialization. For each program and subprogram, conduct an assessment of the private sector capability to conduct research in that area. If there are DOE programs with significant overlap with private sector activities, those programs should be reevaluated. 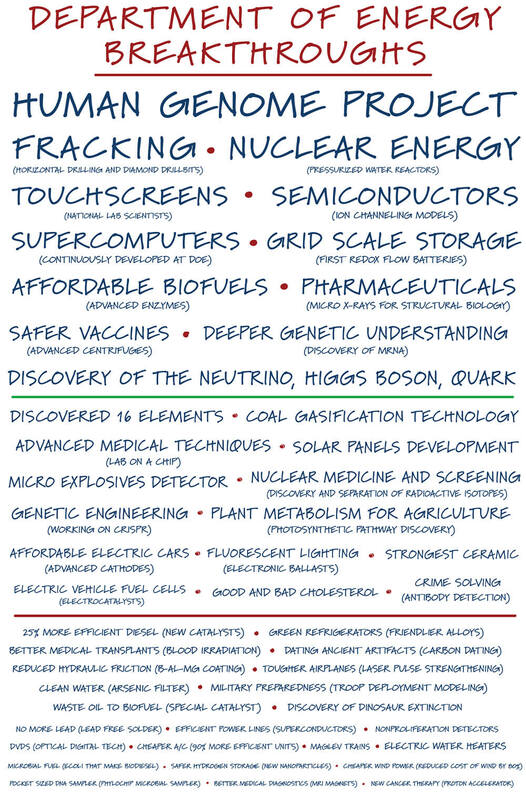 Follow the lead of congressional Republicans and support an increase in ARPA-E funding and expand it to include more nuclear fission technologies, as well as carbon capture. That program works! Expand the Advanced Reactor Concepts Program from two designs to four. Continue funding the small modular reactor technical licensing support program through the end of the state-of-the-art NuScale design. Continue support for the Carbon Capture Power Initiative, a program that has been key to developing clean coal projects, including the Petra Nova project in Texas. Expeditiously approve liquid natural gas export facilities and contracts. Continue to support state efforts through programs such as the Regional Carbon Sequestration Partnerships program. Encourage new projects through the successful loan guarantee program that has already been proven to enable construction of projects such as the world’s first methanol production facility to employ carbon capture technology in Louisiana’s Lake Charles.